Sometimes we all come across a book by chance without realising how special and remarkable it would turn out to be. This was one of those books. Looking back I honestly can’t remember why I chose to read it but I am glad that I did. From the very first page we are immediately transported to another world, the wonders of Île de Ré beautifully portrayed and a life that appears almost perfect. All characters are superbly refined and it was a pleasure joining Ella and Christophe in their adventures on the island during their youth and their struggles after the war. 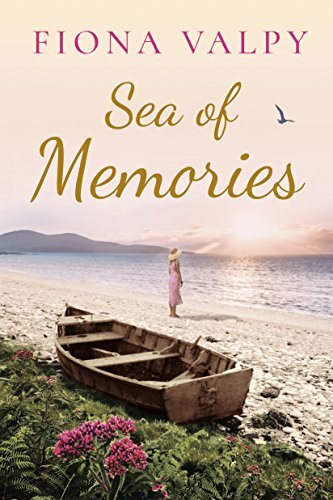 Do not be fooled by the synopsis which hints the usual war romance – the themes explored in this book are heavy but addressed with a lot of care, from friendship to heartache and bravery. Ella’s courage upon volunteering for one of the most dangerous negotiations during the war was impressive and very commendable and was perhaps my favourite part of this book. The dual story line between past and present day was very well executed, an impressive skill in my opinion when considering how difficult it is to master without hindering the natural flow of the plot. I found myself intrigued in Ella’s story and was anxious to learn how her life developed post-war but I admit that the present day interactions between Ella and Kendra were also engaging. Here we discover Ella’s difficult relationship with her daughter and the reason she turns to her granddaughter Kendra instead when requesting for her story to be written. I would have liked a more complete introduction to Kendra because it felt as if she was only written into the novel to tell Ella’s story but I am sure that there was more to her character that could have been explored. My principal complaint about this novel is a very specific part at the Île de Ré towards the end of the book which involves Ella, her first love Christopher and her husband Angus. Without giving too much away, this particular incident felt forced and odd for Ella when looking back on all the heartbreak and difficult moments in her life. I almost felt inclined to discard this moment and only consider the positives of the book but I felt this scene too important to overlook when rating the book. Overall, I adored the setting and characters in past day and, had there been a deeper focus on present day, this book would have most likely received 5 stars from me. Oh, I love your review of this one and was excited to see it is a Fiona Valpy book! I read my first book from her earlier in the summer and LOVED it. It was the Beekeeper’s Promise, and I definitely want to read more of her. Thank you! I’ve just bought The Beekeeper’s Promise and it’s next on my TBR list. I’ve seen some very good reviews so I’m excited to read it!